OSHA and dozens of partner organizations want companies to take some time to put a particular focus on the value of workplace safety and health programs. 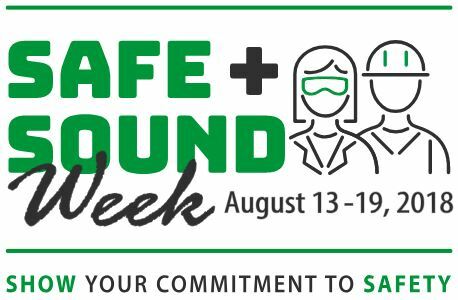 Employers are encouraged to hold their own events during Safe + Sound Week, Aug. 13-29, 2018. The American Society of Safety Professionals says Safe + Sound Week emphasizes the need for safety and health management systems at small- and mid-sized businesses, such as ANSI/ASSP Z10 and ISO 45001. The National Safety Council has listed several of its resources for employers on topics such as fatigue, prescription drugs and cell phone use. The American Industrial Hygiene Association highlights its video with suggestions on how employers can participate. The Center for Construction Research and Training lists resources on its website to create or update a workplace safety and health program. OSHA’s Safe + Sound webpage has a map with state-by-state links of programs being held Aug. 13-19. For ideas from events held in previous years, click here.